In 2017, we told you about new Health and Wellbeing Community Hubs launched in Hastings and Bexhill. 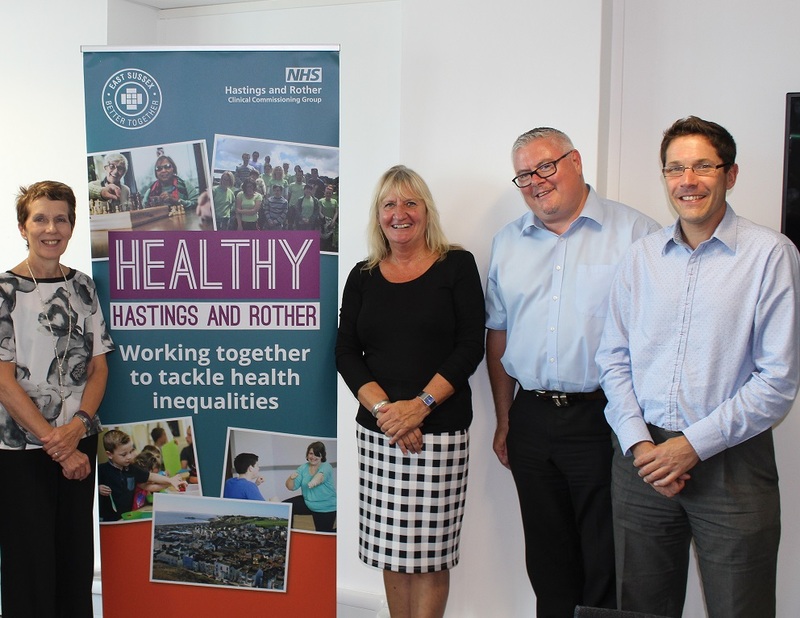 The Hubs are the result of joint working between local voluntary and community organisations, and NHS Hastings and Rother CCG’s Healthy Hastings and Rother Programme, which aims to reduce health inequalities in the area. One year down the line, find out how the Hubs are helping their local communities. The Hubs are based in North East Hastings, North West Hastings, Central St Leonards, Central Bexhill and Sidley. The Hubs have a wealth of knowledge on what’s happening in the community, run free courses, host events and have a range of volunteering opportunities. Volunteers are an extremely important part of the Hubs’ success, and now lead a number of workshops, from crafts to music, and drop in sessions to link people to local services. Both Bexhill Hubs – The Charter and The Pelham – have seen their local communities and organisations become increasingly involved in Hub life, and offer a broad range of volunteer run projects. At The Charter you can learn to cook with “Man With A Pan”, join Rainbow Alliance supper clubs, visit the community cafe and enjoy one-off events. Soon the Hub will be working closely with the local food bank and on projects to support homeless people. At The Pelham you can get active with the Green Gym, Family Fun Fitness and Walk2Run, or visit the Coffee Lounge. The Coffee Lounge also provides free hot meals as a gift to those who are receiving food parcels from the Bexhill Foodbank. Recently The Pelham also successfully secured £105,000 of capital funding from the Biffa Award and the Rother Community Grant Scheme Council to improve the Hub building itself. Looking ahead, the Hubs will continue to establish closer links with local GP practices and continue their work to secure funding to support future health and wellbeing activities that will benefit their communities. • North East Hastings – Education Futures Trust: hub@educationfuturestrust.org / Click here to visit the website. • North West Hastings – Fellowship of St Nicholas: enquiries@fsncharity.co.uk Click here to visit the website. • Central St Leonards – Fellowship of St Nicholas: mhooper@fsncharity.co.uk / Click here to visit the website. • Central Bexhill – Sussex Community Development Association: ruairi.mccourt@sussexcommunity.org.uk / Click here to visit the website. • Sidley Bexhill – The Pelham: office@thepelham.co.uk / Click here to visit the website.